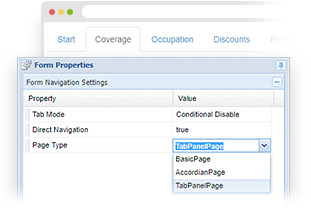 Use Accordion layouts, Tabbed layouts and more to create a compelling, easy to use form - that looks great! 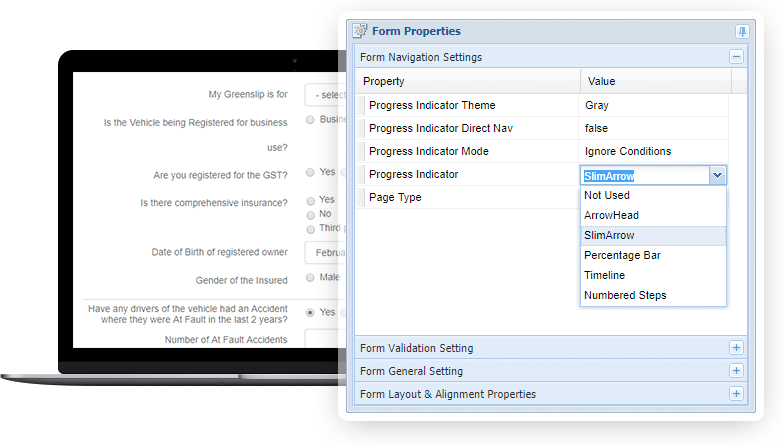 Logiforms help you follow form design best practices by using one of our sleek progress indicators. A progress indicator helps your visitors know where they are in the process and how far they have to go. 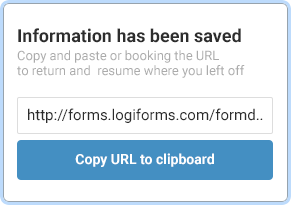 For long forms, the Save & Finish later feature allows your visitors to save their position and return later to complete it. Included is a password reminder feature, and it auto-starts on the page they left off on.